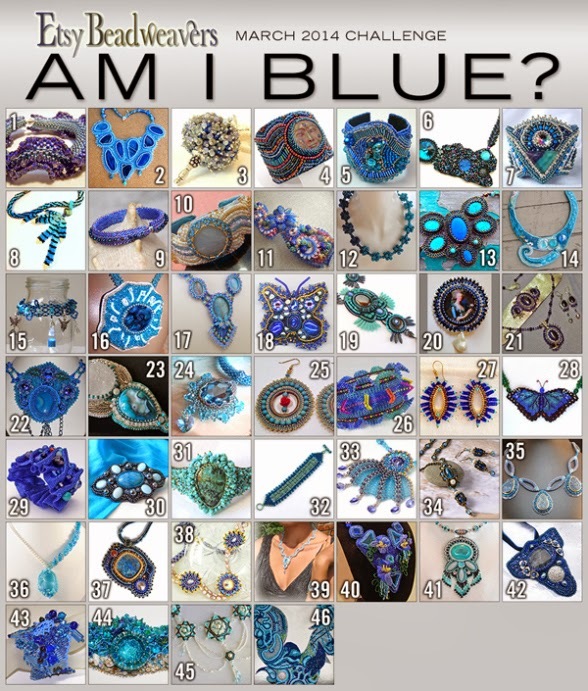 Pipa the Latest: journal of a messy crafter: Are you blue? This is not definitely the time to be blue with this amazing spring weather, but what we mean here is, of course, the colour blue. Looks like blue is everybody's favorite! 46 entries which will put you in a very difficult situation when the time to choose will come! Head to our team blog to vote for your favorite blue creation, you have time until the 16th! These pieces are really amazing, I was lost for hours in browsing through each one and then the shop, etc. Voted, too! Thanks for supporting the team!!! Aren't they gorgeous? !